1. That cycling starts to become a credible sport thanks to a whole raft of proposals – from, among others, Change Cycling Now – which are supported by all the stakeholders, adopted as recommendations by the UCI Independent Commission and implemented. 2. That 2013 is a vintage year in professional cycling with no inexplicable performances, no doping positives, tons of great racing, different podiums at each of the Grand Tours and no serious accidents or injuries befalling the riders. 3. That motorised vehicles – whether they have two, four or more wheels – start according cyclists the same courtesies as they extend to other road users. As a consequence, far fewer of us are killed on the roads. 4. That all my work on the home trainer pays off and I start to pedal with the suppleness and cadence of Alberto Contador. I suppose it’s too much to hope that I might approach his speed too? No harm in wishing! 5. 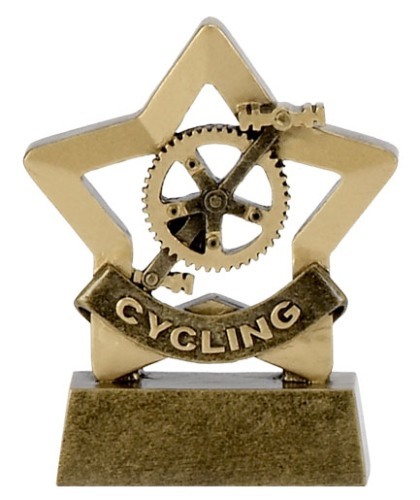 I actually win a cycling trophy as opposed to being given one just for turning up and taking part. 6. I take part in a number of cyclo-sportives without ever once seeing or hearing the broom wagon. 7. VeloVoices becomes a viral phenomenon with companies clamouring to advertise on the site, individuals wanting to write for us and have us feature their photographs. Tim has to become a full-time editor-in-chief with Miss Kitty as our full-time features editor. I finally get a press pass and am VeloVoices’ on-the-spot reporter at all the major races, and many more besides, along with ace reporter Jack. I start taking my own photographs so am no longer dependent on my current photographer who tends to forget to recharge his camera battery or who accidentally deletes the photos before publication. 8. My friend’s son – the one I encouraged to start riding this summer – wins the French amateur road race championships in his age category. The first small step on his long road to becoming a professional cyclist. 9. 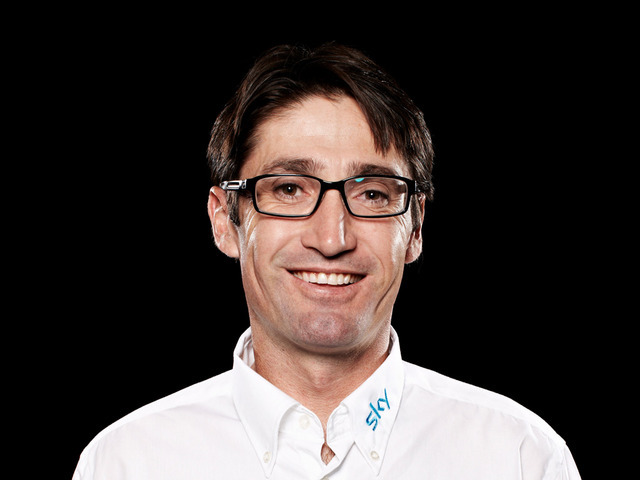 Those who’ve had to quit their jobs because of their past, like ex-Sky race coach and all-around really nice guy Bobby Julich, find new roles and start becoming part of the solution. 10. Friend of VeloVoices, G4, becomes hugely successful and has to hire in more talent. Specifically, they need someone who understands the US market. They recruit Panache who moves to Europe with his family and gets to drink great coffee and to eat French pastries, my pain d’epice (and anything else he fancies) with us in the sunshine on the VeloVoices balcony. This year’s Road World Championships are taking place from 16th-23rd September in the Dutch province of Limburg, home to the Amstel Gold race and whose finale will feature prominently in all of the elite, under-23 and junior races for the men and women. It’s worth remembering that the 2007 edition took place in the rain – the other two were held in fine conditions – and the CSC teams included a number of noted exponents of the fine art of time-trialling such as Bobby Julich, Jens Voigt, Dave Zabriskie and Christian Vandevelde. Before digging back into the archives, it’s perhaps worth reminding ourselves of the basic principles. All the riders on the team – using the most aerodynamically advanced equipment and clothing – start together, quickly forming a nose-to-tail pace-line to maximise the slipstream advantage. Riders take their turns at the front before swinging aside and returning to the end of the pace-line to await their next pull. The team’s time is taken when the fourth or fifth rider (depending on the rules) crosses the line. So it’s imperative that whichever tactic the team uses, they keep a minimum number together. Well-honed teams are a beauty to behold while those who underestimate its importance handicap their star stage racers. Who can fail to remember the abject performance of some of the French teams in Montpelier in the 2009 Tour de France? The discipline had been established in the Grand Tours as early as 1927 when the Tour’s organiser Henri Desgrange turned all 16 of the flatter stages into team time trials to force riders to ride flat-out. Unsurprisingly the formula wasn’t popular with either the riders or the spectators. The tactic was abandoned in 1929 and reintroduced along with national teams in 1930, which featured a huge 222km team time trial from Bordeaux to Hendaye. The Giro introduced team time trials in 1937 and the Vuelta followed suit in 1946. The discipline was a feature for many years in both the Olympics and the World Championships using four-man national teams starting in 1960. From 1972 onwards, the event wasn’t held at World Championships during Olympic years. The distance was always approximately 100km. Sadly the first event in 1960 was marred by the death of Dane Knud Enemark Jensen who overdosed on amphetamines, fell and fatally fractured his skull. The maiden event was won by the Italians who were the most successful team in this discipline – winning nine out of 36 events – until the UCI disbanded the amateur championship in 1994. What kind of race will it be? The team time trials open the World Championships tomorrow (Sunday). The professional trade teams of six will race from Sittard – 53.2km for the men and 34.2km for the women – to the finish up the Cauberg climb, the same finish that will be used in all the road races later in the week. The clock will stop on the fourth team member across the line. 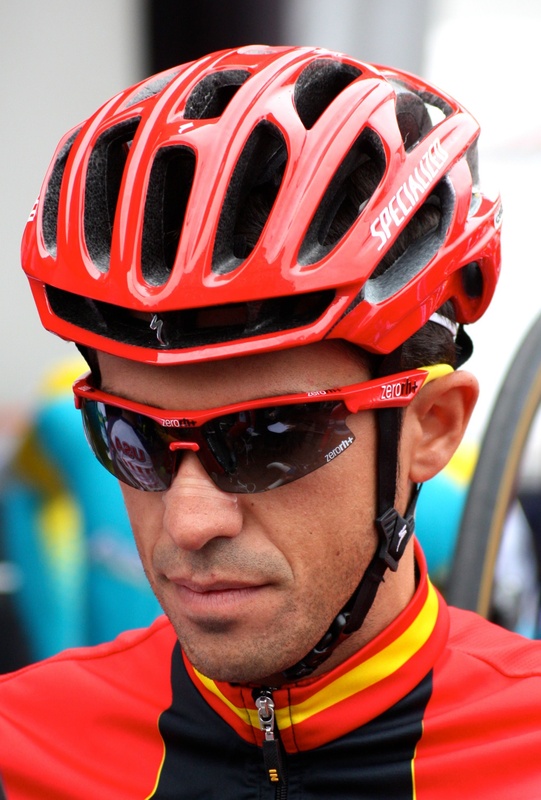 The UCI has had to adapt its rules as the teams will contain a mix of nationalities. It will play the national anthem of the winning team on the podium, where it will award each rider with a medal and the sports director a trophy. Riders will not receive rainbow jerseys, but the team will wear a distinctive logo on their jerseys the following year. The racing aside, it’s a good opportunity for teams to invite and entertain sponsors at the World Championships. The routes chosen for the team time trials are neither flat nor easy. The women’s 34.2km route includes two climbs; the Lange Raarberg, at around 20 km, and the finale on the Cauberg. The men’s 53.2km route adds the Bergesweg in Voerendaal before finishing just past the summit of the Cauberg. Teams must ensure that riders stay together to remain in contention, particularly on the challenging climbs. With UCI WorldTour, Pro-Continental and Continental teams eligible, it’s likely to be a World Tour team atop the podium but it should prove an attractive spectacle for spectators. Based on their performances in this year’s Grand Tours and stage races, Sky, Garmin-Sharp, BMC, Orica-GreenEDGE, Liquigas-Cannondale, Movistar and home team Rabobank should be among the favourites for the men’s title. Certain teams are known to have set winning this event as one of their key objectives and competition to get into the set-ups has been fierce. Orica-GreenEDGE has held specific training camps, as it did before winning the Tirreno-Adriatico time trial in March, as have Liquigas-Cannondale and Garmin-Sharp who are both bringing star-studded teams. We shouldn’t overlook the benefit of home advantage. Rabobank, Vacansoleil-DCM and Argos-Shimano are all hoping to shine, demonstrate a solid team ethos, raise their profiles and replicate the success enjoyed by other Dutch teams in earlier reincarnations of the event. In the women’s race, there are fewer teams taking part. The Specialized-Lululemon squad looks particularly strong with Ina Teutenberg but we shouldn’t discount the ladies’ defending individual TT champion Judith Arndt and her GreenEdge-AIS team, nor local team Dutch AA Drink. The Road World Championship team time trial events take place on Sunday 16th September. Live coverage and highlights will be shown by Eurosport in the UK. For other live coverage check cyclingfans.com.